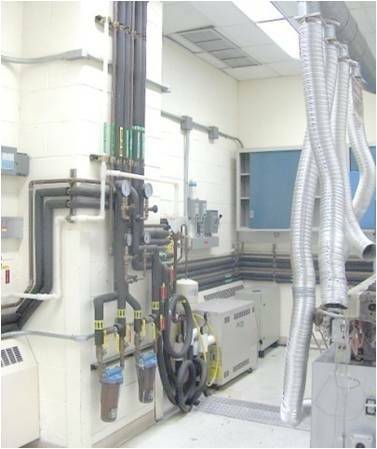 In an effort to consolidate laboratory functions and vacate one of their campus buildings in order to reduce operating and maintenance costs, EI provided our client with architectural and engineering design services covering the relocation of existing laboratories and technical library functions to an adjoining building. Approximately 22,000 sq.ft. of first floor lab area and 2,600 sq.ft. of third floor office area required renovation to accommodate the 26 relocated labs and Library/Idea Exchange areas. 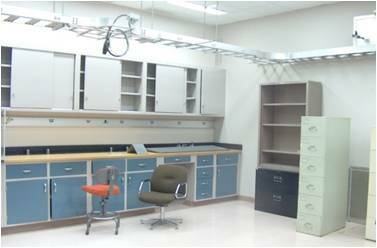 Lab furniture requirements including benches, benchtops, cabinets, fume hoods, point exhaust, storage devices, racks, etc., were coordinated with existing available lab furniture within the existing lab building for potential reuse as well as existing items for potential relocation from the vacated building. The existing building HVAC exhaust system required evaluation, modifications and rebalancing to accommodate the planned improvements. 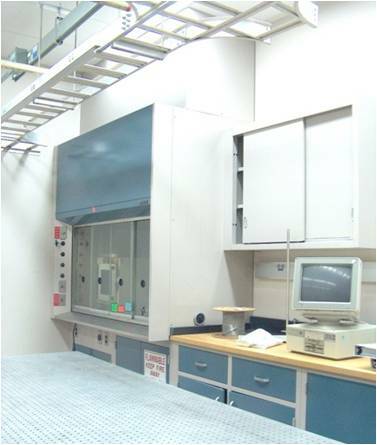 In addition, the Laboratory wing areas on the First, Second & Third floors of the existing laboratory building provided insufficient exhaust airflow from Fume Hoods, individual point exhaust outlets and ceiling registers that did not meet our client’s HS&E (Health, Safety & Environment) guidelines. This exhaust deficiency was due to an improper axial fan design in the original construction of the building. EI’s corrective exhaust design included the installation of new fan units which eliminated these errors. Significant energy was saved by this change as (3) 200HP fans were replaced with (3) 75HP fans (with increased flow capability).